Along the values we share with our customers and partners regarding nature, we have decided to participate in giving back to mother earth what we take away from her. 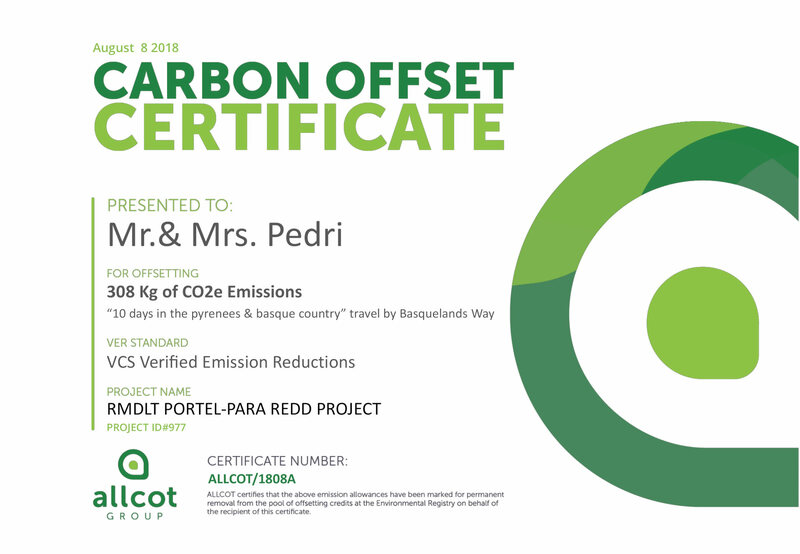 In our last trip hiking in the Pyrenees with Laurel & Mark from Denver; Colorado, we have obtained a Carbon Offset Certificate. Calculating the amount of CO2 spill into atmosphere during those days, we have compensated it participating in a reforestation project in the State of Para, in Brazil. Little seeds for a future carpet of new natural wonders covering the earth.